Resident Advisor and DJ History recently shone the spot light in different ways on the influential Boy’s Own fanzine from the late 80s. Penned by Andrew Weatherall (a personal hero), Terry Farley and others, the rough and ready publication played a pivotal role in the first wave of Acid House in the UK and the relationship with early balearic as it made it’s way to British shores. For more on the fanzine check out the aforementioned articles. 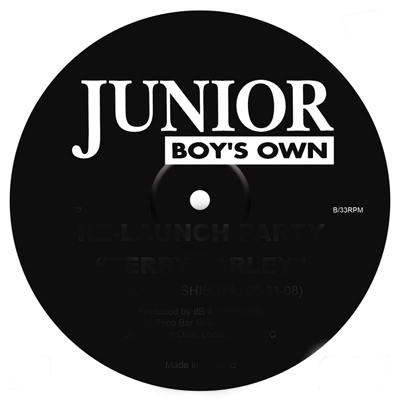 Junior Boy’s Own was the house music sub-label which was spun from the much less successful and short lived Boy’s Own label run by the same men behind the fanzine. JBO is a label with an amazing back catalogue of extremely musical and well (but not over) produced house cuts, and for quite some time now I’ve been collecting, enjoying and playing these records out. There’s always at least one JBO 12″ in my bag and I often have to ration how many I play in favor of diversity! Here is a few of those favorites. Hope you enjoy.